As you can see, it gives you a pretty blank canvas. For the other designs and all the details, go here. Hi. 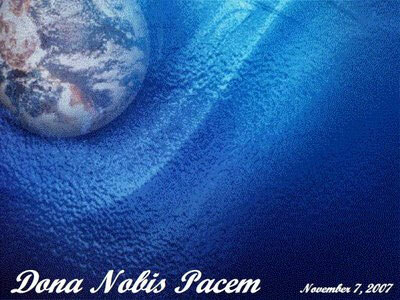 I just today discovered this post about the November 2007 BlogBlast For Peace. I am the founder of the project. I wanted to thank you for promoting and linking to me. I hope you made a globe and participated as well! Thanks again. It was a wonderful day in the blogosphere. We will have another one late spring/early summer. Hope to see you there.